At the Summary step of the wizard, finalize the process of configuration data restore. Review the restore process results. 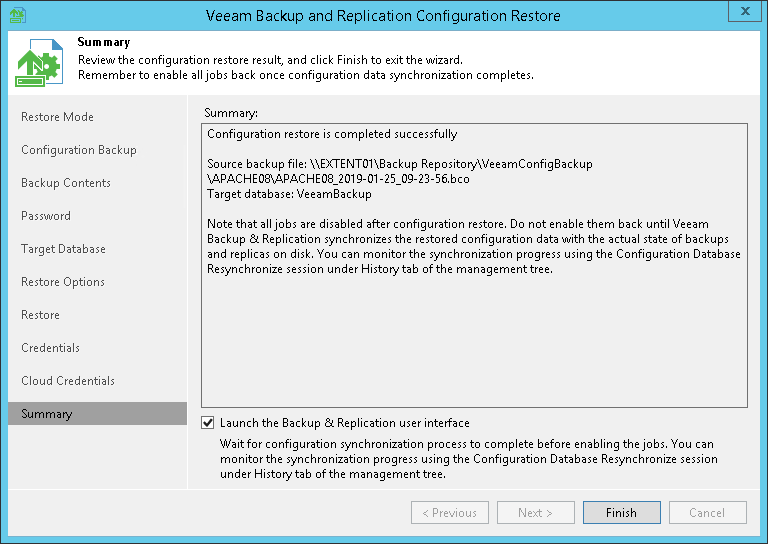 If you want to start Veeam Backup & Replication after you finish working with the wizard, select the Launch the Backup & Replication user interface check box. Click Finish to exit the wizard. If you restore data from the configuration backup in the Restore mode, all jobs on the backup server will be disabled after the restore process is complete. You need to enable them manually.